Fragrance Specialities offer a variety of fragrance solutions for home care products. We believe in the performance of fragrance in the home care products. Our fragrances for home care products have a fresh, Clean and long lasting effect which boosts the hygiene value of the product. 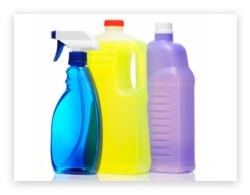 Our fragrances found use in various home care products â�� Utensil Cleaners, Floor Cleaner, Toilet Cleaners, Glass Cleaners, Mosquito Repellents, and Toilet Fresheners etc.